A student-centered environment designed to develop Jewish identity, Jewish values, and kinship with other Jews . Knowledge of Jewish traditions, rituals, and holidays. Knowledge and experience of Tefillah [prayer] as it relates to each individual. Knowledge of and exposure to the Hebrew language, primarily as it is used in prayer and song. Exposure to Israel’s history, customs, and current issues. Opportunities to pursue mishpat [justice], tzedek [righteousness], and chesed [loving deeds]. Opportunities for all family members to study, pray, and play together. Opportunities to support and participate in the life of the Temple, including celebrating Shabbat, the festivals, and Jewish ceremonies that mark significant occasions in our lives. In addition to general Jewish Studies, each grade generally focuses on a specific subject as appropriate to the grade level. 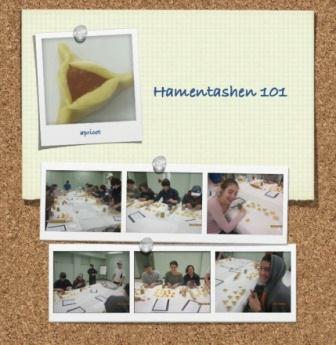 Our Hebrew Studies Program is oriented as appropriate to each grade level. Kindergarteners look at some very basic Hebrew vocabulary and 1st graders are introduced to the Hebrew alphabet. Our 2nd and 3rd graders learn the alphabet and will recognize letters and vowels in simple syllables and words. Formal Hebrew studies begin in 4th grade–the students learn to recognize and read basic Hebrew as well as begin to practice the standard Shabbat blessings and Hebrew songs. In 5th through 7th grades, the Hineni Program presents the Shabbat Morning Service, prayers, blessings, and songs for home observance of Shabbat and holidays, as well as selections from the Friday Evening Service. Students will learn to read fluently from the siddur [prayer book]. They will be able to understand the meaning of the prayers, translate key words, and participate in the prayer service. In the Sanctuary Skills portion of our curriculum, 4th grade students study the Friday Evening Service with a major emphasis on the Family Shabbat Service. Students will be presented with an orientation of the service. Ten major prayers will be recited and sung. The parasha of the week will be studied through various activities. 5th and 6th grade students study the major festival services and Saturday Morning Service. The aim is to make students become comfortable with this important service in preparation for the service at which they become a Bar/Bat Mitzvah.